Concerts organized every day, all year round. 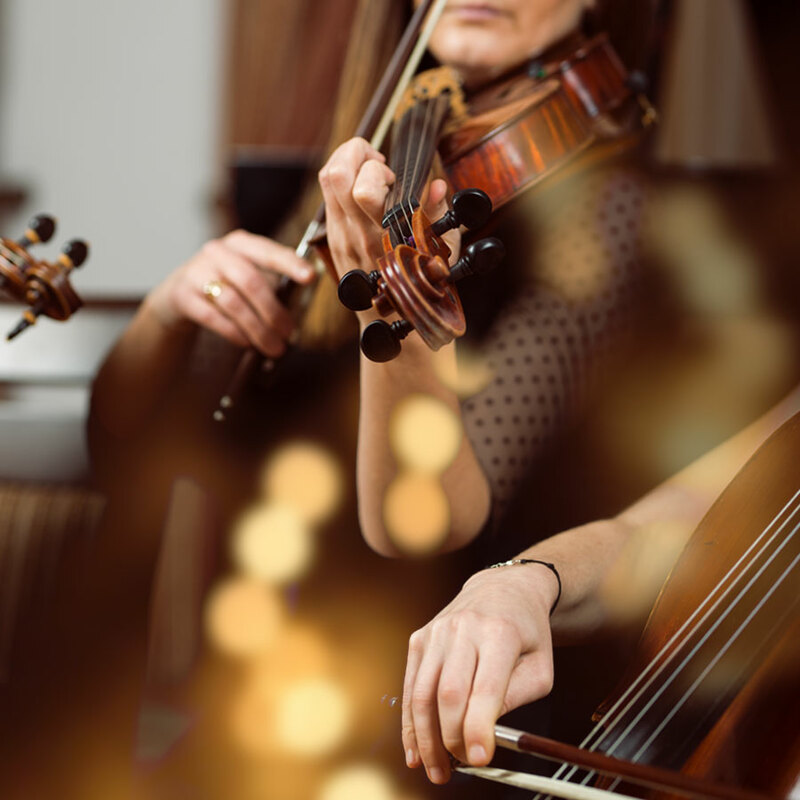 The Royal Chamber Orchestra is an ensemble consisting of outstanding musicians from Krakow, who graduated from The Academy of Music, giving performances all over the world. Their music is the combination of excellent taste, unlimited imagination and the perfect technique. Chopin Gallery is placed in the 15th century building, which used to be a house of Master of the Hunt for the Royal Family, Kaspar Dębiński. The concert hall has unique acustic and the intimate atmosphere. We invite you to our musical feast. The Royal Chamber Orchestra was founded in 2007 by Sławomir Prokopik. It consists of young musicians, students and graduates of the Academy of Music in Kraków, performing and touring all over the world. 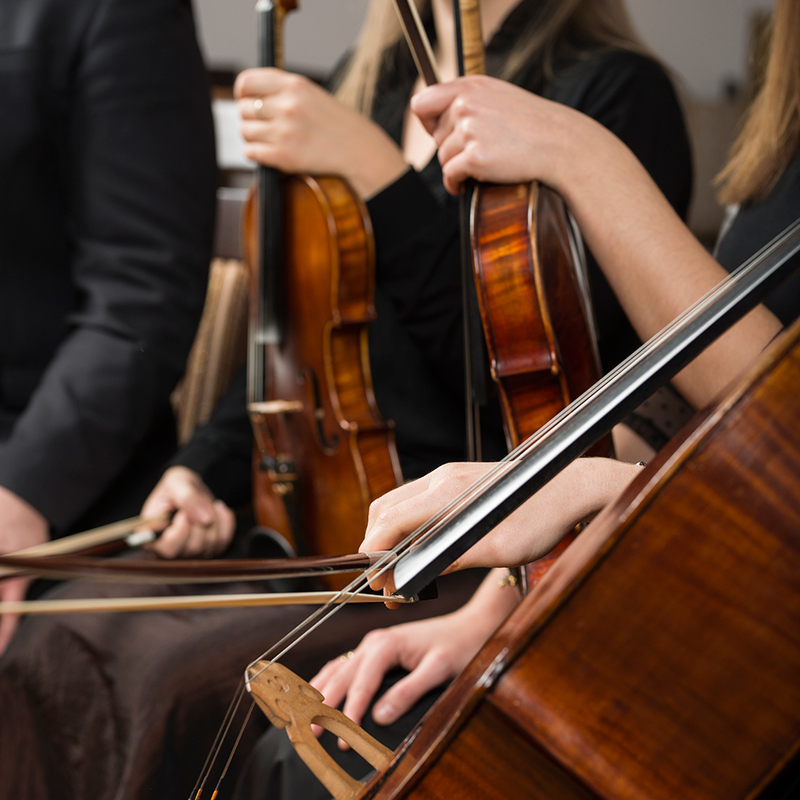 Bach, Vivaldi, Mozart, and Brahms are only a few names from the Quartet’s repertoire. Additionally, they perform contemporary film scores and jazz pieces. 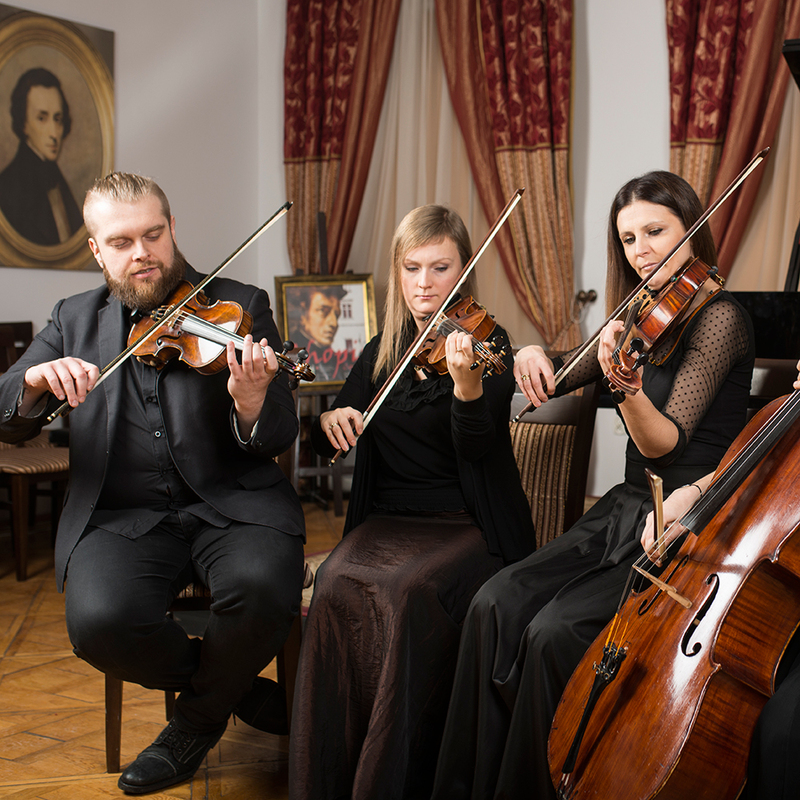 The Royal Cracow Quartet has given concerts in Poland, Germany, Austria, the Netherlands, and the United States. They have played in numerous notable concert halls, including the Konzerthaus Berlin, the Beethovenhalle Bonn, the Wiener Musikverein, the Rzeszów Philharmonic, the Wrocław Philharmonic, the National Philharmonic and the Royal Castle in Warsaw, the Aula of the Collegium Minus of Adam Mickiewicz University in Poznań, etc. In 2009 they have released their debut album. He began his musical education in preschool. He was encouraged to take up violin by his father, a clarinetist. As a teenager, he was influenced by jazz music, klezmer music, hip hop and house. Currently, he performs as a soloist in musical theatres and concert halls in Poland. His repertoire consists of pieces from operettas, musicals, and popular music. He is also a composer and producer. Her musical journey commenced when she was four; she took up the piano, and two years later, the violin. 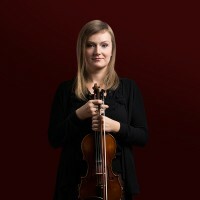 Her first successes in national violin competitions came when she was a pupil of First Level Music School in Białystok. She finished Witold Lutosławski Secondary Music School in Białystok with honours, and later graduated from the Academy of Music in Kraków. From the beginning of her career, she has remained within the Beethoven Academy Orchestra, mentored by Elżbieta Penderecka. 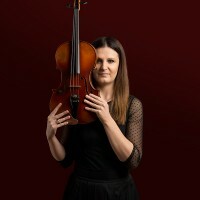 She has performed worldwide, and collaborated with the likes of Krzysztof Penderecki, Jacek Kasprzyk, Hans Zimmer, Jose Cura, and Grzegorz Turnau. 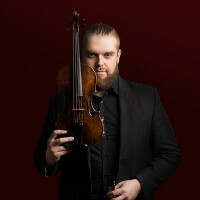 A graduate of the Academy of Music in Kraków, in the viola class of professor Janusz Pisarski. She has performed twice as a soloist, in the Kraków Philharmonic, and live on Radio Kraków. She is a winner of numerous competitions and recipient of the 2004 Minister of Culture and National Heritage’s scholarship. Moreover, she is a member of Capella Cracoviensis and the acting principal viola leader of the Beethoven Academy Orchestra. She performs both as orchestral musician and chamber musician. She has collaborated with famed conductors, such as Krzysztof Penderecki, Jacek Kasprzyk, Gabriel Chmura, Michał Nesterowicz, Clemens Schuldt, and Daniel Smith. 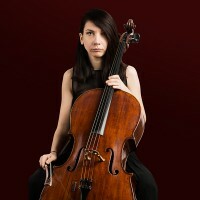 Started learning to play the cello at the age of 9 in her hometown of Żagań. She graduated from the Academy of Music in cracow and participated in many international masterclasses with the most eminent teachers. Permanently associated with Beethoven Academy Orchestra, she is also a member of smaller chamber ensembles. 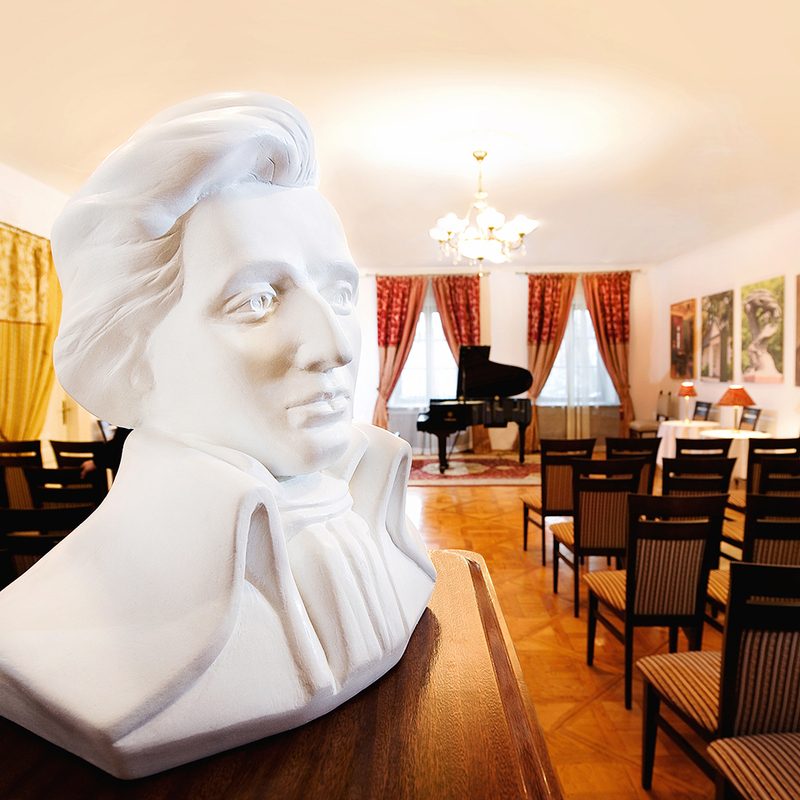 The concert hall is a gallery dedicated to F. Chopin who was one of the greatest composers of all time. 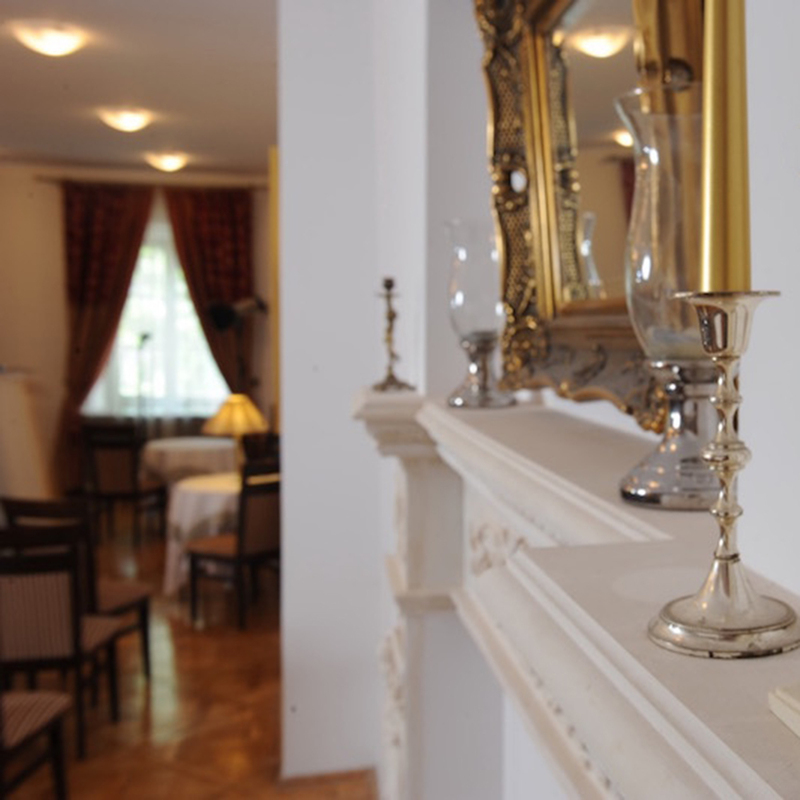 The venue is in an old historical tenement house called “Dębinskim” or “Under Barrel”. The house was built in the 15 century as an one-storeyed building and it was restructured thoroughly in the middle of the 16th century.After that the house became the property of a Royal Hunter named Kaspar Dębinski who worked for the Royal Family in the Wawel Castle.He ordered to add the second floor and then the house’s facade was decorated with paintings presenting different kinds of weapons. At present you can see extraordinary the 19th century staircase with its original richly ornamented railing made of iron leading to the concert hall.